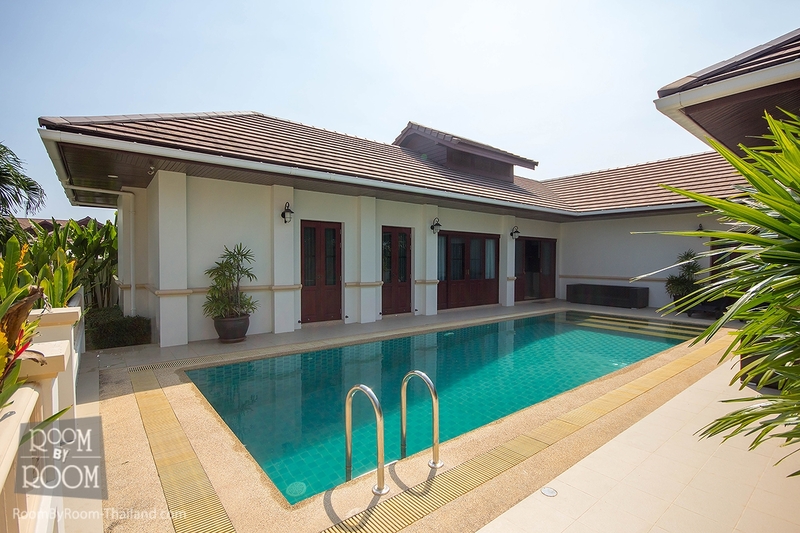 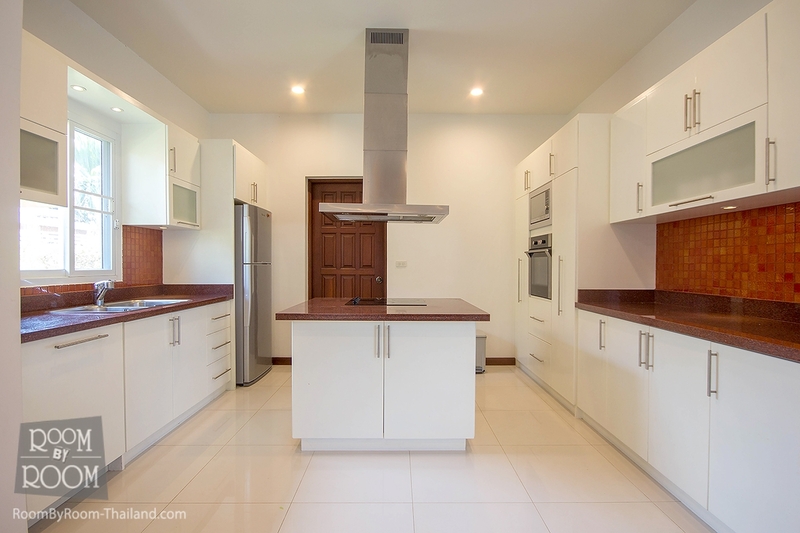 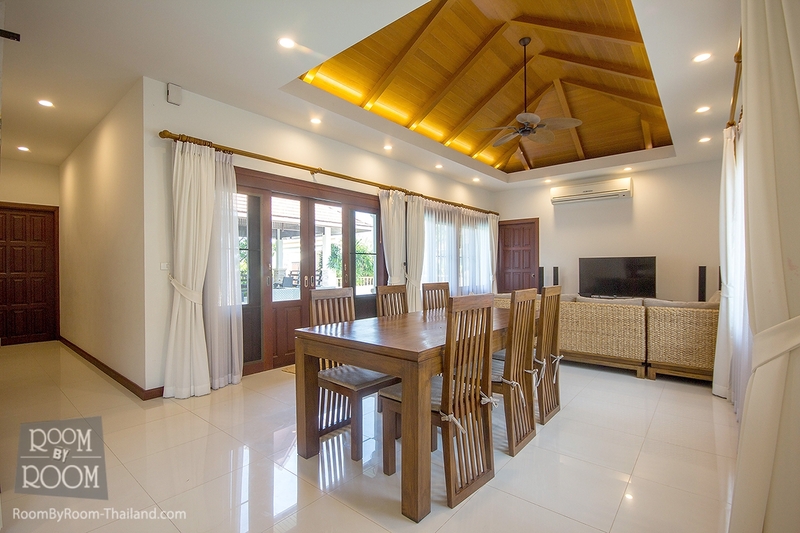 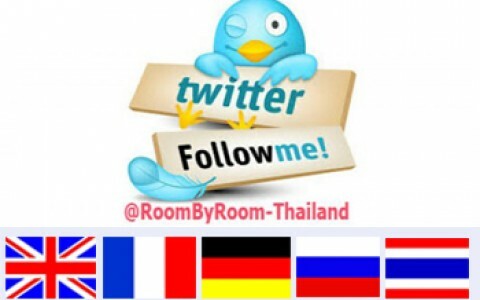 Located only 7 Kms from Hua Hin centre, on an exclusive, small, private development of similar villas, with 24 hour gated security, is this beautiful villa for sale, built by Hillside Hamlet, a prestigious property developer who has built and sold 5 developments in Hua Hin. 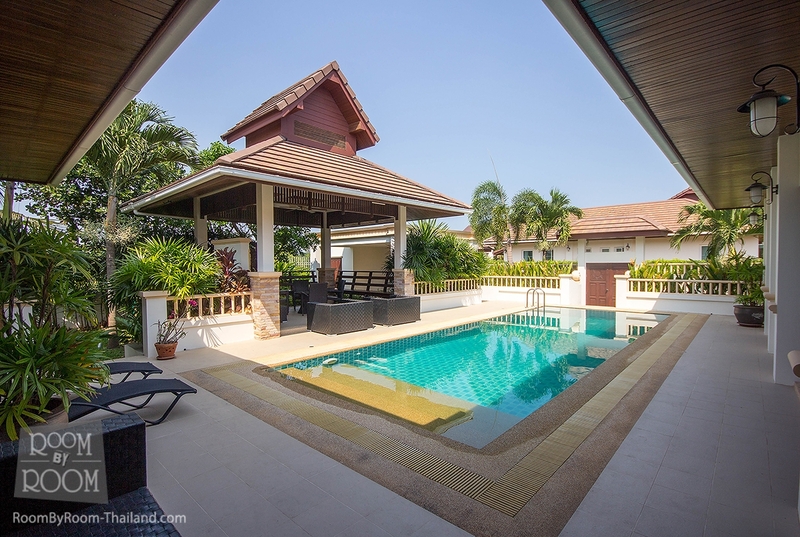 You do not often see these villas for sale, but unfortunately due to work commitments, the owner has to return home and has reluctantly put his home up for sale. 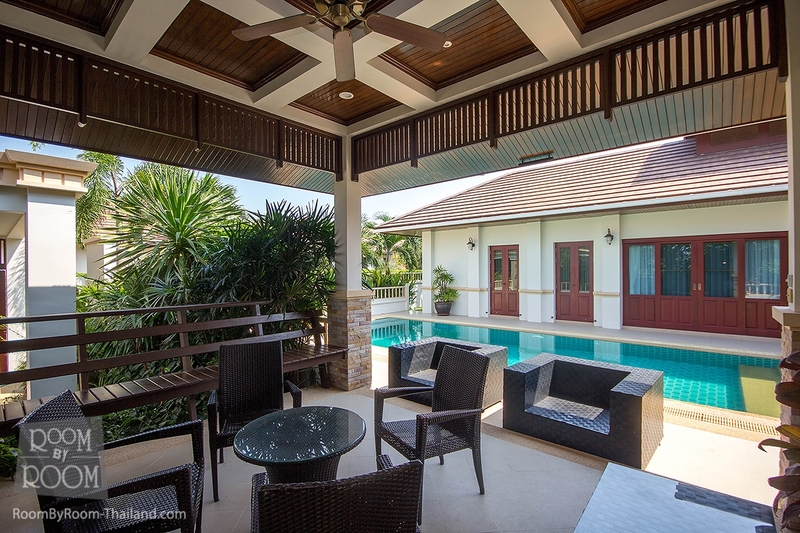 The outside of the villa benefits from a spacious “L” shaped sun terrace, a 10m x 4m pool a carport, a covered Sala, beautiful manicured gardens and has a high wall all around for complete privacy. 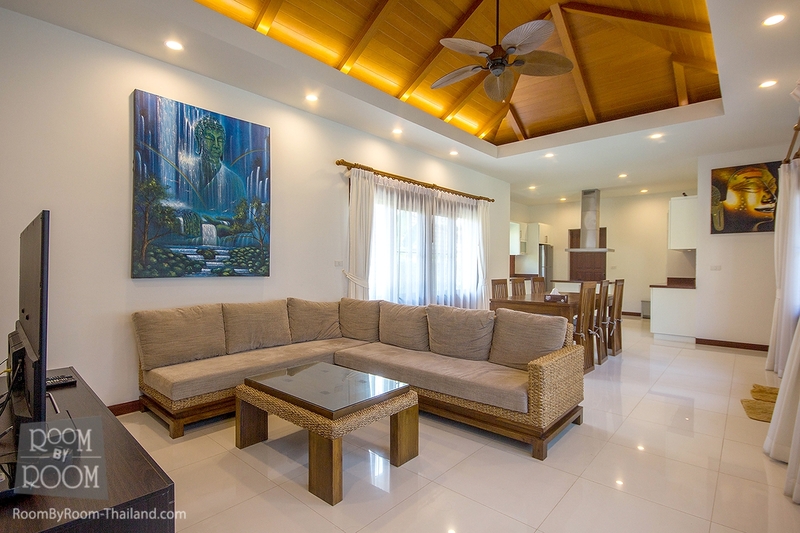 The main villa boasts a spacious open plan living area, a fully fitted European kitchen, 3 bedrooms and 2 bathrooms. 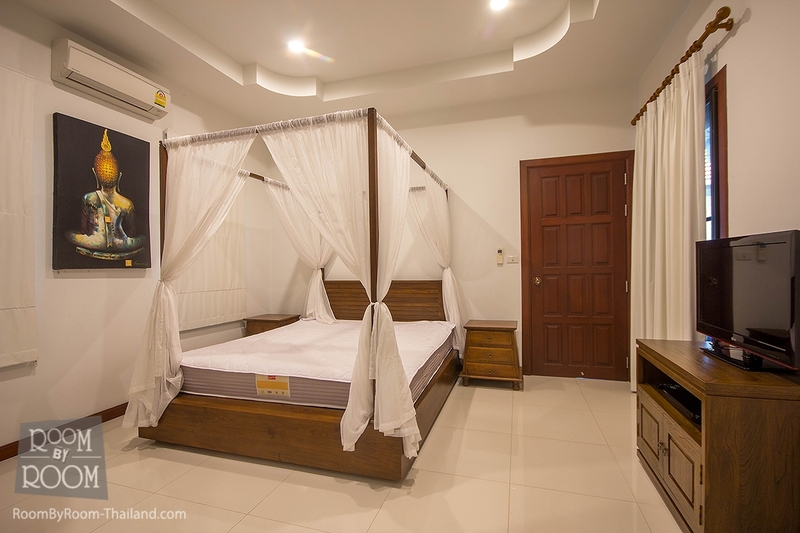 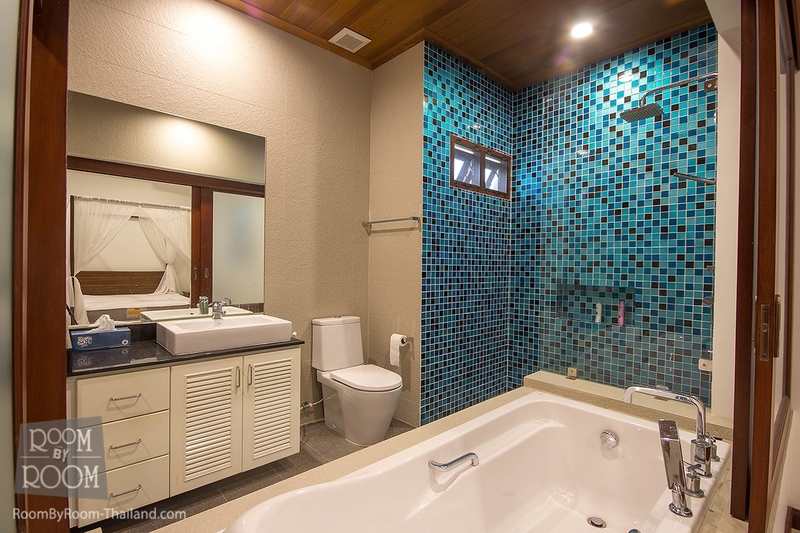 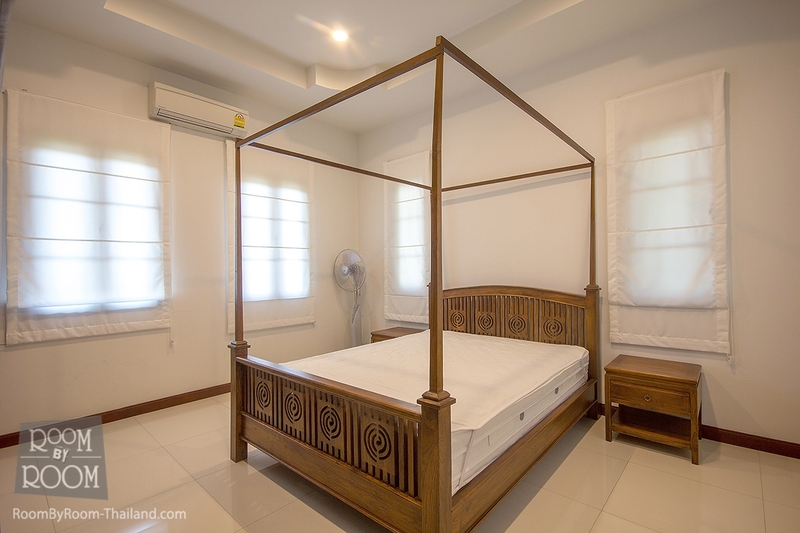 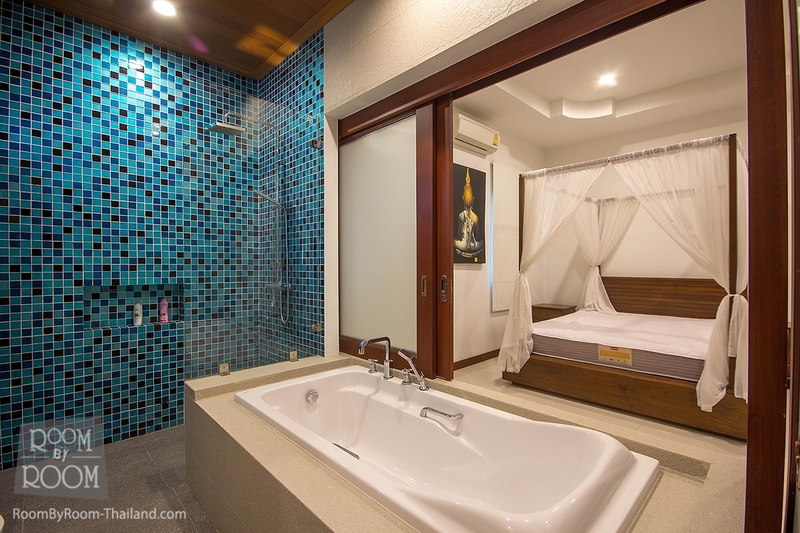 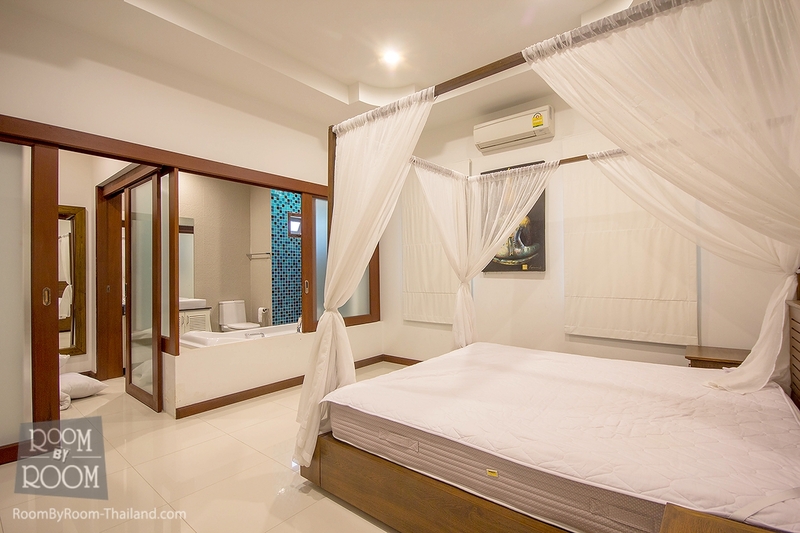 The villa also benefits from being fully furnished, has 4 air-con units, vaulted ceilings, LED lights throughout the whole villa, a separate laundry room, which includes a washer and a drier, to name just a few.